Picking up from the end point of Episode VII: A New Hope, The Last Jedi continues the Star Wars saga with the continuing tale of rebels against empire and the inescapable reach of hope. With rebel numbers dwindling and the might of the First Order increasing Rey (Daisy Ridley) must convince Luke Skywalker (Mark Hamill) that the time is right to return to the front lines of battle and stand against oppressive forces and darkness in the galaxy. Luke however, sees something greater in Rey and is astounded by her power when she leans into the Force around her. Meanwhile Poe Dameron (Oscar Issac) and Finn (John Boyega) along with new ally Rose (Kelly Marie Tran) are caught in a race against time to help the remaining forces of the rebellion escape the clutches of the First Order, aided as always by the rolling ball of fun that is BB-8. Without tipping into much of the plot for fear of spoilers, The Last Jedi is as good a Star Wars film as I could have hoped for. Laughter, tears, suspense and wonder all lie within a two and half hour run time that feels only marginally longer than necessary. 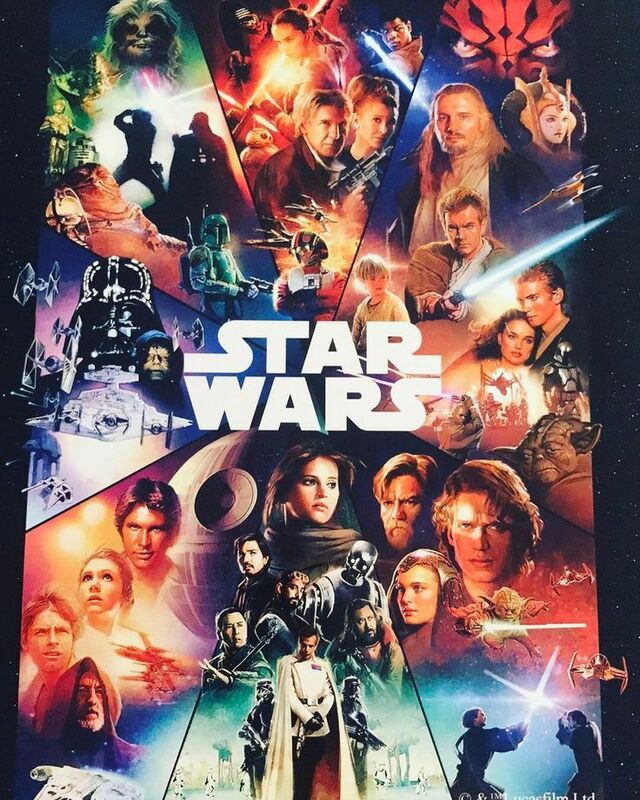 Certain elements of narrative are non-sensical and worthy of an eye roll or two, but this is Star Wars so channeling my inner child I relaxed into what is at heart a more than worthy entry into this saga's lineage. Among all the fantasy and lightsaber swings remains several core messages. The need to rebel against empire, is the overarching thread and if you leave the Last Jedi without wishing to join the rebellion I'm not sure what more can be done other than accept your path to the dark side! The nature of the force is also up for debate in Rian Johnson's film. Mystical in essence but accessible to all who choose to believe and lean into its power, Johnson has taken a stedfast element and blurred the edges, not to detract from the power of the Force but to open its reach to all and make the possibilities wider and more accessible. Star Wars purists may baulk at this notion but I was loving every moment of these discussions, given the nature of my writing. Also entwined with this idea is the desire of Kylo Ren (Adam Driver) to see the old things die, to give way to something new. His need to see the old religions and fables fall so that something greater (and in his case darker) can be birthed also had a deep resonance with me. 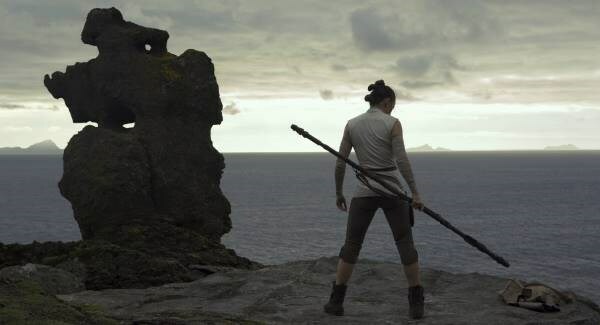 The other area for which the film must receive praise is that every character within The Last Jedi is on a journey. This is no easy task when there are at times many moving character parts to consider. Every character we encounter is heading towards something new, growing, changing, and every character experiences death. Not a literal death but the death of old ideas of who they are and a journey into who they will be. They all learn about themselves, they all experience growth in some aspect of their characters. As with all Star Wars films there is also the great love of hope. The Last Jedi is no different as it tells us that to hope is not a futile act but rather hope can fuel our journey in unforeseeable ways and hope can bring unimaginable change. Within the Last Jedi hope abides, hope sustains and hope brings change. Coming into 2018 let hope abide, hope sustain and hope bring change. I've always associate Star wars films with Christmas. As an 80's kid they were generally on TV most Christmas' (back when there was only one ITV), they became a part of the Christmas routine, part of the zeitgeist even though they are not explicitly Christmas films (I reject wholeheartedly the Star Wars Christmas Special as canon). Perhaps though they should be considered Christmas films, perhaps they should be given more consideration among the Christmas greats? The Bible is filled with darkness v light too. Light is the first thing we are given in the creation story (Genesis 1:3), throughout Old and New Testament light is a theme that is inescapable. At carol services we will hear the prophet Isaiah declare 'The people walking in darkness have seen a great light; on those living in the land of deep darkness a light has dawned.' (Isaiah 9:2) an advent declaration that a light is coming. A light that is inextinguishable and cannot be denied its purpose. So how does this relate to Star Wars? Star Wars films are filled with light and darkness. Opposing forces, polar opposites. The darkness is within the world but cannot fully consume it because of the light. Because of the resistance, because of those who choose to rebel against the Empire. The nativity scenes we see recreated on cards, in primary schools and sitting proudly at the front of our churches is the greatest symbol of rebellion we could have today! That scene sets in motion a series of events that instantly irritates the empire of the time as the child is hunted by a king drunk on power and the potential upset this baby could cause. The battles against empire would continue throughout Jesus life as he upsets and confounds religious rulers with his teaching, upsetting their theology to the point they want him executed for it! The empire of the time could not cope with the impact of Jesus! Perhaps the empire of our time need to have their foundations shaken again this Christmas? Perhaps our empires need to be shaken by a rebellion. Not a rebellion of lightsabers and X-Wings but a rebellion of grace and love. In the backstreets of Bethlehem a teenage mother cried out in pain and cried out in the hope a promise. In those streets that baby's first cry was a cry of rebellion, a cry declaring the light of the world had arrived and that darkness has had its time, a cry of hope. Jyn Erso said it best 'rebellions are built on hope'.